The Minister of Food and Agriculture, Alhaji Mohammed Muniru Limuna, has allayed fears that Ghana faces eminent famine contrary to expertise views that the country may possibly face food insecurity following erratic rainfall pattern and the decline in growth by the sector earlier in the year. 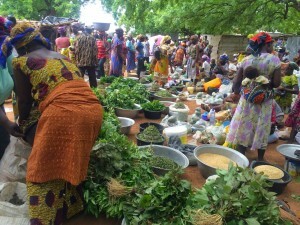 Ghana currently depends largely on neighboring countries for its local consumption. Staples food like plantain, yam, cocoyam, citrus fruits and vegetables are all exported into the country to beef up existing food stock, a situation many expert speak against. But the sector minister said Ghanaians should disregard these ‘wild concerns’ and claims that the country faces eminent food insecurity. “I can say on authority that Ghana has baskets of food to feed the country in the next generation,” adding that the silence has allowed critics to paint rather gloomy picture far away from the reality. 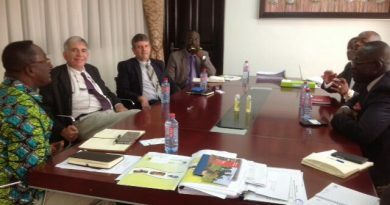 Speaking at Ghana Agriculture Sector Investment Programme’s (GASIP) Regional sensitization forum, in Kumasi, the Minister chastised the Ministry for being silent on the numerous success and progress chalked within the last few years. The enormous agricultural potential of Ghana is not in dispute but what is lagging behind is the enabling environment for the private sector to take advantage and harness the potential. Ghana is doing well in terms of food production; a lot of interventions have been scaled up to transform the sector. GASIP, he said will employ the following tools and instruments to support agribusiness: technology and extension support; matching grants ( a form of subsidy financing for the purchase of agric machinery); value chain infrastructure such as feeder roads; irrigation schemes, warehouses and pack houses; access to finances through linkages to financial institutions; and access to markets through market research and market strategy.